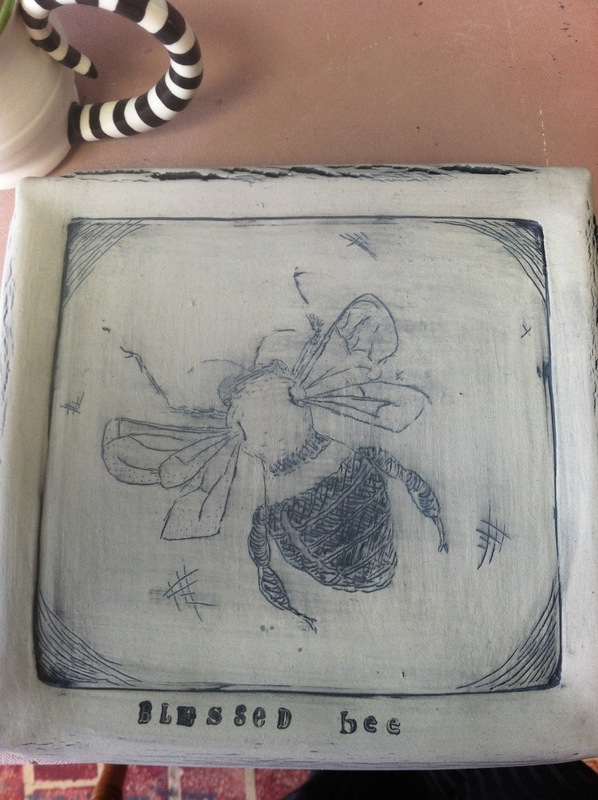 Blessed Bee- This platter was made using cone 5 B-mix which I have not used before but wanted to experiment with a mid-range clay body. The honey bee design was done freehand using mishima. I LOVE this technique for drawing on clay and have about a million ideas! So excited to see where this new inspiration will take me!! This handprint is my first attempt at mono printing on leather hard clay, a process that I am less comfortable with/ excited about. I couldn't think of anything to print because I got stuck thinking in terms of silhouettes. 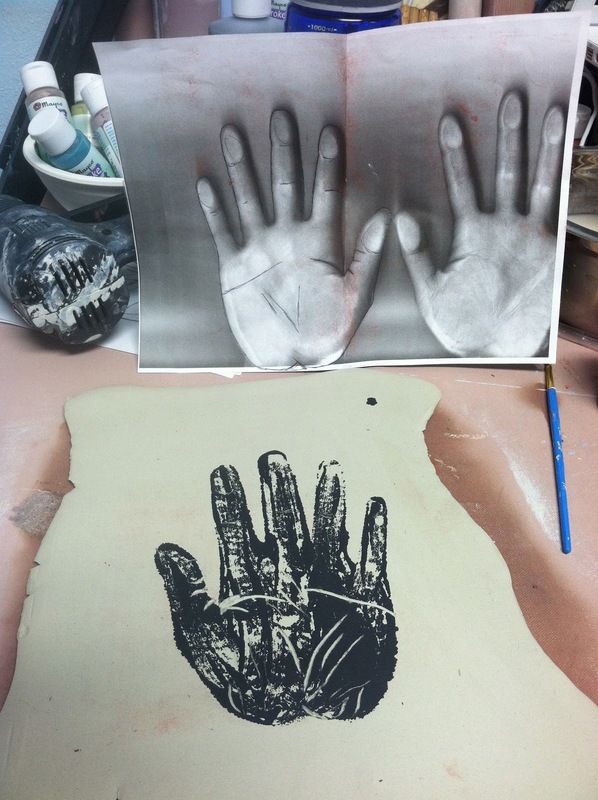 So I made a photocopy of my hand and used that for my design. I then added some hand lines with scraffito. I think as I collect more imagery and drawings I will find more exciting subjects to mono print. It is a good technique to add to my tool box, I just need to marinate on it for a little longer. This assignment was carving stamps on linoleum blocks which I have messed around with before but not made anything that great. I spent quite a bit of time drawing and planning out the designs and am pretty happy with the way they turned out. I am working on a logo for my studio so this is a good excuse to experiment with stamp making so I can eventually make a signature stamp for my work!! Here's some more mishima! I am working on a dinner plate set as our old ones are mostly broken now! i got the dinosaur images from a dollar store coloring book!